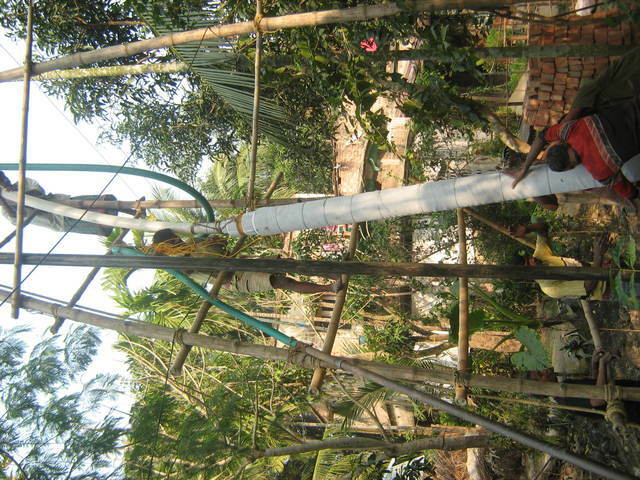 This borewell # PW122 is in the Mogra village of Deganga block of North 24 Parganas district. Niher Mondol donated the site for the community. This well was visited by the technical manager and the project manager on the same day. The water quality is normal of this 27 feet borewell. According to the june's report only one 4 family comprised of 9 members are using this well . The construction of this bore-dugwell is just completed in December 2010. Some finishing work is going on like the masonry job and the arsenic test will be done on 28/29 December and application of the disinfectant are due. The community will be trained to apply the disinfectant and field workers will visit the bore-dugwell for two years or until the user community feels confident to take the responsibility of the bore-dugwell. 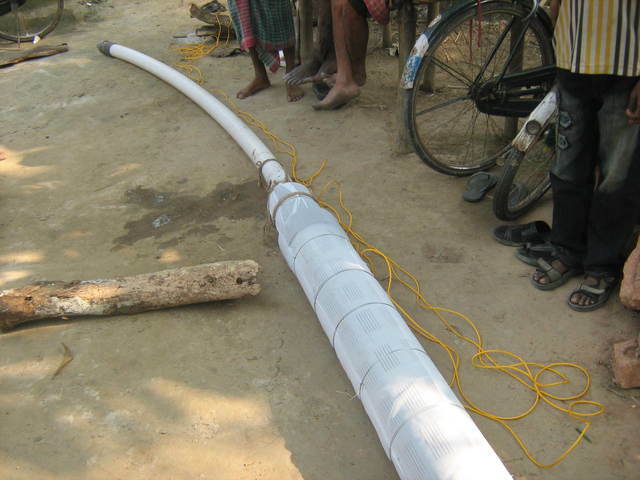 This design of this bore-well has further revised to reduce the cost. It is still a 30 feet bore-dugwell. The upper portion is a conventional 12 feet dugwell of 3 feet diameter concrete rings with an insert of a 10feet length, 3inches diameter pvc pipe that is attached to another 10 feet length of 8 inches diameter perforated pipe using a reducer or adapter. Previous design had one 20 feet x 8 inches diameter pipe that was costing approximately Rs. 7,000 more than the current design. With the reduction in the cost of a 10 feet of 8 inch diameter to 3 inch dia pipe the cost is reduced while the reducer cost is added and all the other costs remain the same. 13 families are using this bore-dugwell water.